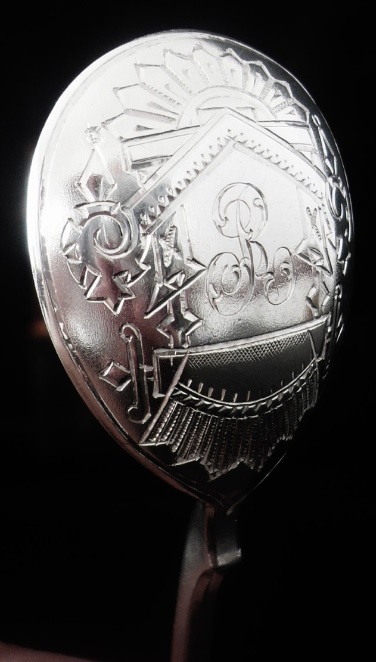 I can see the assayer is Ivan Yevstigneyev, but I am unsure of the maker. 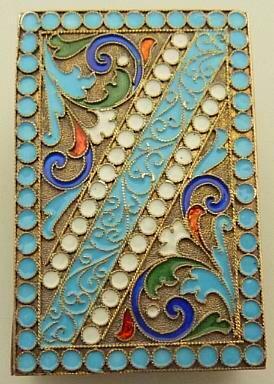 Excellent Goldstein, many thanks. I'll pass the information along. КИЛЬПЕЛЕЙНЕН (КИЛЬПЕЛЕЙН) Матиас Генрих, (р. 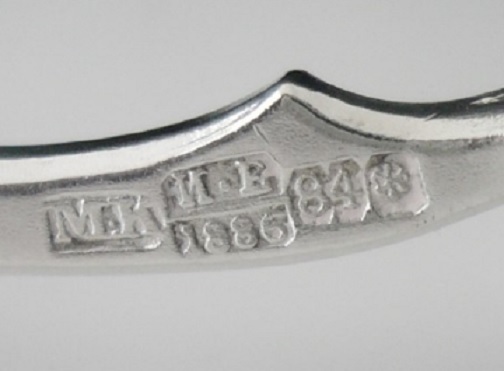 1831 г. в Финляндии), в 1850 г. перехал в СПб, в 1854 г. подмастерье, с 1865 г. СДМ, известен до 1898 г. Постникова—Лосева: клейма №№ 1342, 1793. 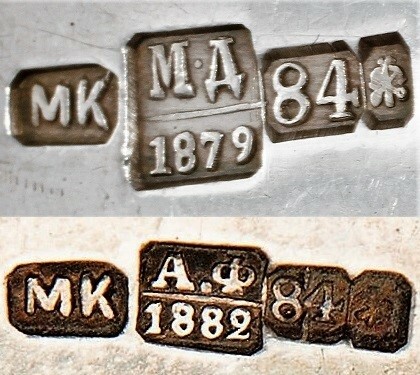 PL book No.1342 initials MK no serif. 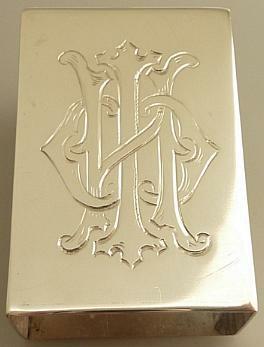 PL No.1793 (under Latin initials) M dot K with serif (shown by Goldstein). 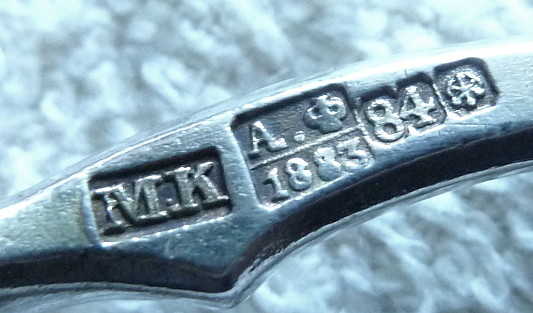 His silver is not uncommon and MK is always attributed to him.No more SPB masters with MK initials. 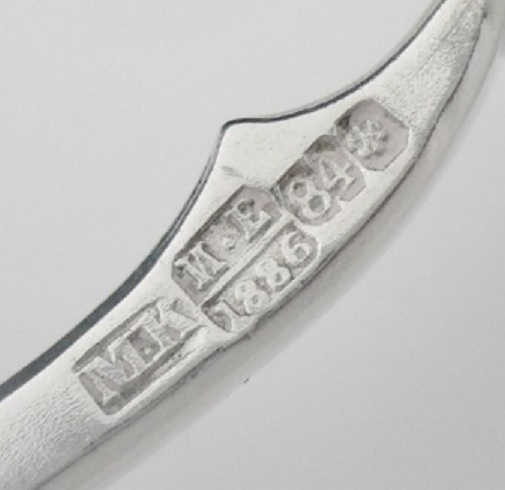 No serif examples (PL 1342). Many thanks for the confirmation, it's appreciated. Many thanks for the further information. I'll pass it on.